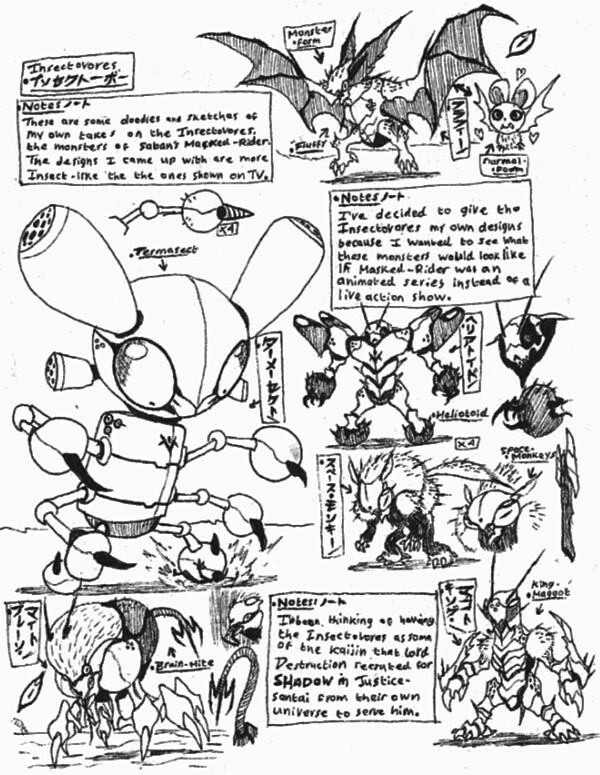 Here are some rough concept sketches of some Insectovores インセクトーボー for Masked-Rider Animated. In Masked Rider, Count Dregon has monsters called Insectovores which he uses in his plots. They are kept in jars which come to life when they are launched from the Spiderbase.